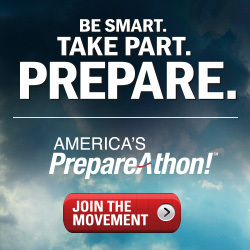 September is National Preparedness Month and each week we’re looking at different disasters that should be prepared for. 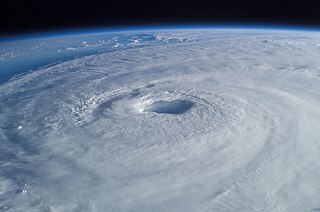 This week we’re talking about hurricanes. Since 1980, Maryland has been affected by 56 hurricanes, tropical storms, or tropical depressions. Most of these storms hit in September and bring flooding, high winds, and power outages. The biggest threat that comes from these storms is storm surge. When tropical cyclones make landfall they bring with them a mass of water above what is already wind driven. This, plus an ill-timed tide, can cause significant flooding which can cut off evacuation routes, isolate people from resources, and cause serious property damage and death. According to Maryland Department of the Environment, 5.1% of Calvert County is in the 100-year floodplain which includes 3300 people and 1134 structures. If there is a good aspect to hurricanes it is the advance notice we typically get from the National Hurricane Center. Advance notice of tornadoes and severe thunderstorms are measured in minutes where hurricanes are typically forecast days in advance. It’s important to prepare yourself and your property now. Make a plan. Make a kit. Test your plan. Get out alive.